There’s something fascinating about the contrast among the four seasons. The barren, snow-covered locales of winter and the scorching heat of summer might as well be two completely different worlds. Ary and the Secret of Seasons attempts to take that contrast and make a game out of it. 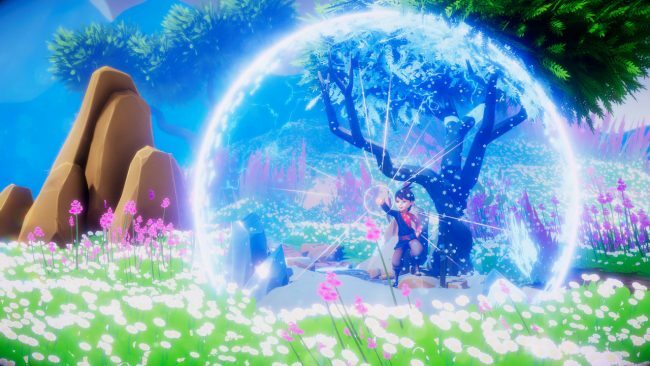 In Ary and the Secret of Seasons, you play as the titular heroine. Fueled by a desire to become a Guardian of the Seasons, her journey is jumpstarted by an unfortunate family tragedy. Now a fully-fledged Guardian herself (well, maybe not “fully fledged” per se, but she’s on her way), Ary must journey throughout the kingdom of Valdi when its balance is threatened. While Ary isn’t fully complete yet (it’s due to release in Q1 2020), what I saw of it showed a lot of promise. The use of the four unique seasons is not a mechanic that’s been in too many games, and even then eXiin and Fishing Cactus are attempting something new with that mechanic. With the world’s climate at your disposal, it’s up to you and Ary to solve this environmental crisis. In Valdi, there are four distinct regions, each with its own trademark season. For example, there’s a summer-centric region that has distinct Greek influences, though we didn’t get to see that in our demo. Ary’s home has an Asian-influenced aesthetic, where it’s always winter. Except, when I saw Ary and the Secret of Seasons, there were green leaves and a shining sun. So what gives? Well, someone went and disputed the balance, and now all of the seasons are out of whack. As a Guardian, Ary has control of all four seasons, letting her use them at her disposal. These powers allow Ary to create spheres that house that specific season. So, the winter dome will be filled with snow and ice, though only within its circumference. These domes provide you with plenty of opportunities to explore the world (Ary does have some backtracking elements, though all of it is purely optional). Take Ary’s village, which has a giant lake. While normally (well, not normally, but you get the idea) you’d simply be able to swim through the lake, by turning the surrounding area into winter, you’ll now have a frozen lake you can simply walk across. The world is also filled with “monoliths” that you’ll encounter. Not only do these provide hints on how to progress on your journey, they also expand the radius of whatever sphere you summon, opening up exploration options even more. Of course, these powers do come with limitations. You cannot summon a season more than once, so you’ll have to get rid of your fall sphere if you want to put one somewhere else. In addition, seasons cannot intersect; if you summon one too close to another, that will affect the size of the second sphere. While the demo of Ary I saw had all of the abilities unlocked, when you play the full version, these will be acquired throughout your adventure, giving it even more of a metroidvania feel. Besides her climate-bending powers, she has a few other tricks up her sleeve. She will be able to use both ranged and melee attacks, and Ary and the Secret of Seasons features an lock-on system when attacking enemies. The weapons can do more than hit enemies, though. Ary can also use her slingshot to summon seasons from a distance, though the same restrictions do apply. It may be just the thing to solve the many puzzles you’ll encounter throughout Valdi. The different seasons won’t just change the environment, as they also give you special abilities. Take the spring season, which allows you to regain your health. In winter, Ary can conjure a shield of ice to up her defenses. Unfortunately, you aren’t the only ones who can adapt to the changing weather. The enemies Ary faces can be just as reactive. One enemy we encountered created an ice shield if he was in a winter climate (apparently these guys aren’t original), though that advantage was not present in other seasons. But while some enemies will have distinct advantages in certain seasons, you can also use the different seasons to turn the tide against your enemies. Another enemy we ran into was a fan of shooting projectiles as his main offense. Normally this would be a hindrance, but summon up some winter, and you can send those projectiles right back to where they came from. Ary and the Secret of Seasons is all about manipulating the world around you to suit whatever needs you have. The second half of the demo took place in a temple in Ary’s village. Said temple was hidden behind a waterfall. However, just turn things to winter (with the help of a larger-than-usual monolith), and that waterfall is suddenly gone, revealing the majestic temple awaiting you. 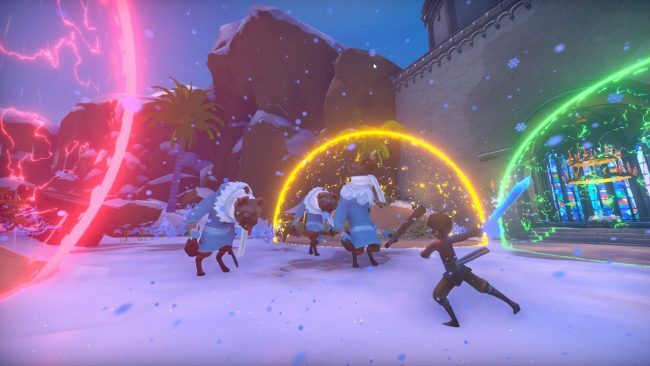 Ary and the Secret of Seasons is not an open-world game, but rather is described as “hub-based.” This is a game that gives players plenty of control, and therefore plenty of abilities to play with, so the developers have made sure that they are able to get a hold on their tools. The gameplay philsophy was described as taking a big puzzle (i.e. the temple you’re in), and breaking said puzzle into a number of smaller puzzles. A number of times in the temple, you’ll encounter certain monoliths that can be moved. Even better, the spheres surrounding them can be moved as well, allowing a specific season to cover a larger distance than normal. From using water to cushion your fall, to creating a frozen pool to act as a bridge to walk across, there are a number of puzzles for players to try to wrap their head around. 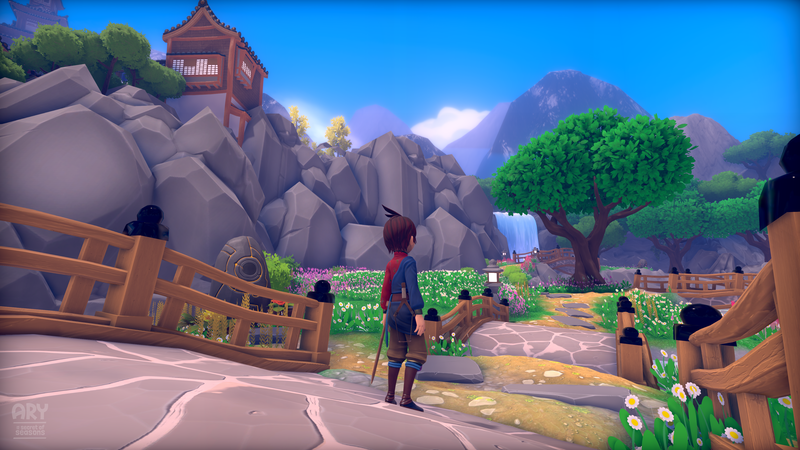 At a playtime that’s described at around 10-15 hours, Ary and the Secret of Seasons is just the right amount of time for a puzzle-based adventure like this. With about a year to go, there’s still some work to be done, but Ary is certainly on its way to be one of the most unique journeys of this generations. Let’s just hope she can fix this environmental mess. 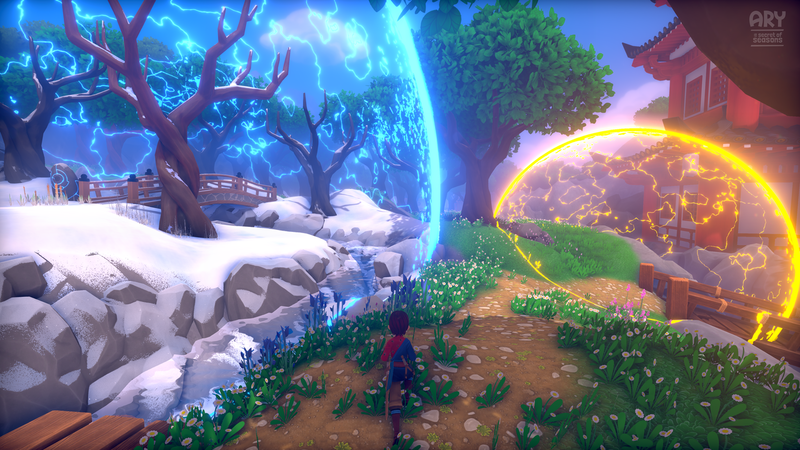 Ary and the Secret of Seasons will release in early 2020 for the PlayStation 4, Xbox One, Nintendo Switch and PC.